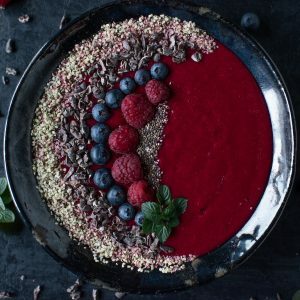 Yes, smoothies in bowls. It’s a thing! 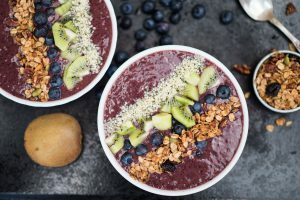 Smoothie bowls have been popping up in my social media channels, so I had to try my hand at an original Blueberry Smoothie Bowl!